Our day trip to Washington featured a little bit of everything we have come to expect of the Great Pacific Northwest: gray, drizzly skies that eventually gave way to sunshine, awe-inspiring scenery that stands out in any weather, and plenty of world-class wine. We have visited Washington a few times before: Adam grew up just over the border in Portland, Oregon, and we always make a point of driving north when our travels take us to his hometown. Although we’ve traveled the Evergreen State pretty extensively, exploring spots from the rolling hills of the Palouse to the top of the Space Needle, we knew very little about the Washington wine scene—a surprise given how often wine factors into our travels, and a serious error in judgement given how exceptional Washington wine truly is. When a chance to attend a conference north of Seattle presented itself earlier this year, Adam and I jumped on the opportunity to turn it into a bleisure trip. Although we worked full days during our time on the West Coast, wrapping up at 5 PM ET meant our work day ended at 2 PM PT—and so each afternoon offered some bonus vacation time. 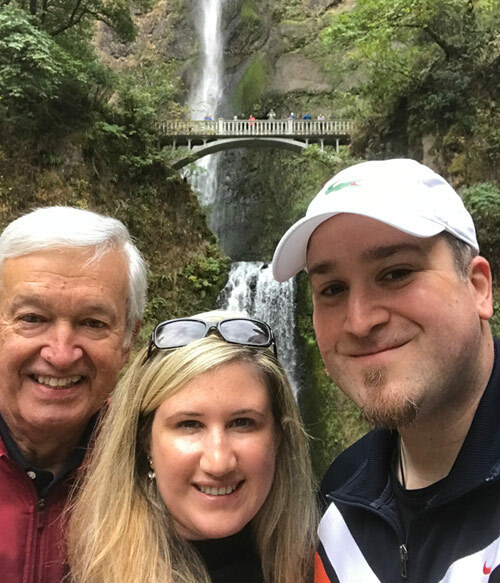 We had one full work-free weekend day, though, and we dedicated the whole of it to exploring the Columbia River Gorge and a few Washington wine tastings along with Adam’s dad. We created an easy itinerary that combined nature, history, and wine into a fun road trip that started and ended in Portland. 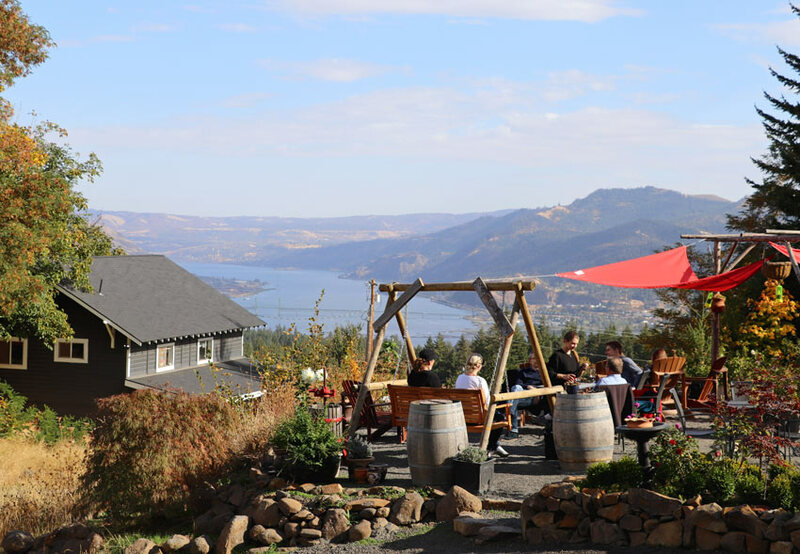 If your travels will take you to Portland, Tacoma, or Seattle—and you have a day or two to explore by car—here are a few spots to discover in Washington wine country along the Columbia River Gorge. 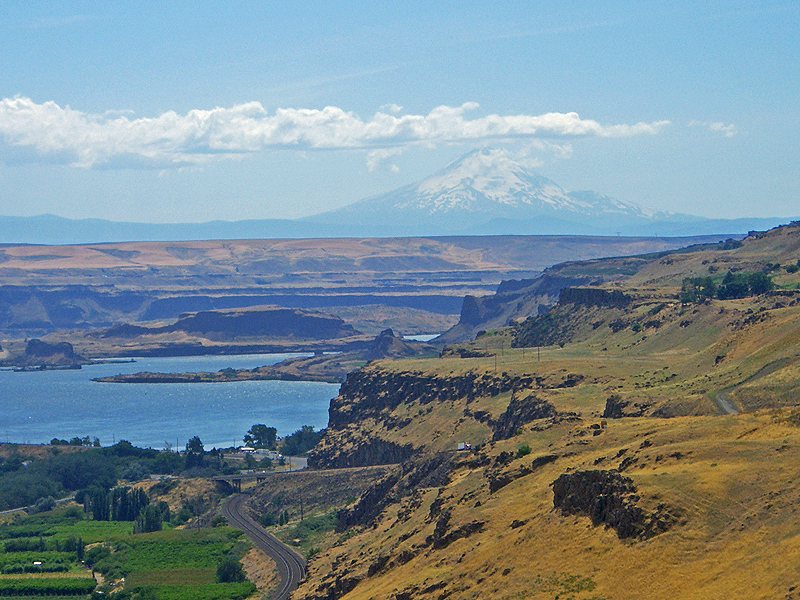 Stradling the border between Washington and Oregon, the Columbia River Gorge is as beautiful as it is historic. Evidence of humans living in the area date back more than 13,000 years, with most populations making the region home because of the abundance of salmon available there. 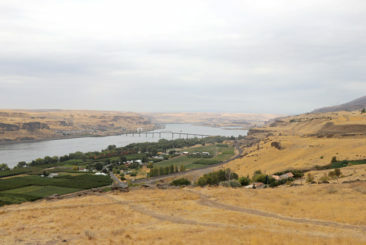 The Columbia River Gorge is perhaps most famous for serving as a final stretch of Lewis and Clark’s expedition on their way to the Pacific Ocean. Today, the Gorge runs along 80 miles of river and is surrounded by some of the most picturesque natural landscapes in the country. A simple drive along the Columbia River Gorge on the way to Washington wine country is beautiful, but build in time for a few of our favorite stops. Located in Oregon’s Multnomah County, Vista House is a 100-year-old historic property that once served as a rest area for travelers along the Columbia River. Even by today’s standards the structure is magnificent: featuring a hexagonal domed interior with marble adorning most surfaces, it’s easy to get lost in the grandeur—and just as easy to understand how it earned the nickname, “the $100,000 Outhouse” by Oregonians dismayed at its expense during construction. Today, visiting the Vista House—located more than 700 feet above the Columbia River on Crown Point—is a terrific way to get a sense of the Gorge’s expanse and natural beauty. A walk around the perimeter is a great way to take in the scenery, but don’t miss the chance to climb the stairs to see things from a higher level. Vista House is beautiful in its own right, and if you’re looking for a great photo spot to capture both the Vista House and the Columbia River Gorge in a single shot, make sure to stop by the Portland Women’s Forum State Scenic Viewpoint. Located about a mile west of the Vista House, you’ll find plenty of parking and the view is incredible. Perhaps the Columbia River Gorge’s crown jewel, Multnomah Falls is stunning no matter what time of year you visit. Multnomah Falls is the tallest waterfall in Oregon, splashing down more than 600 feet from its crest. The waterfall has likely existed for more than 15,000 years, with its source stemming from an underground spring. The Multnomah tribe tells a story of a woman who sacrificed herself from the top of the cliff, hoping to save her people from a plague that threatened them. 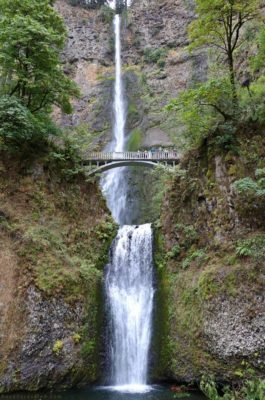 Shortly after her death, water began to cascade over the same cliff, and Multnomah Falls has flowed since that day. 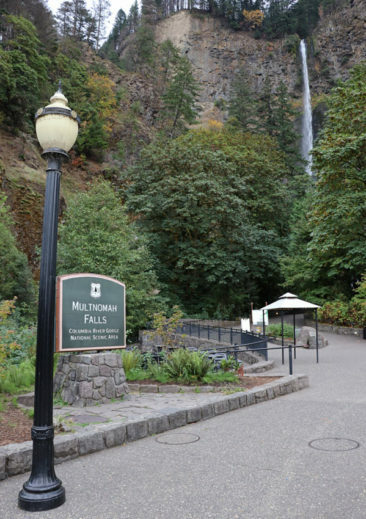 Over the years our own visits to Multnomah Falls have spanned from half day treks to hike and take photos to shorter stops en route to Washington wine tastings or meeting up with friends. If you are short on time, a five-minute walk will take you to the falls’ base, a great spot for pictures and to appreciate how impressive the waterfall really is. With more time built into your schedule, follow the trail through the woods to reach the bridge that overlooks the falls for a different perspective. If you have a couple of hours, it’s not difficult to continue your hike to the top of the falls; the trail is a little more than two miles round trip, and although it requires a bit of climbing the views are worth the effort. We have seen Stonehenge on two continents: one in Wiltshire, England, and one in Maryhill, Washington. 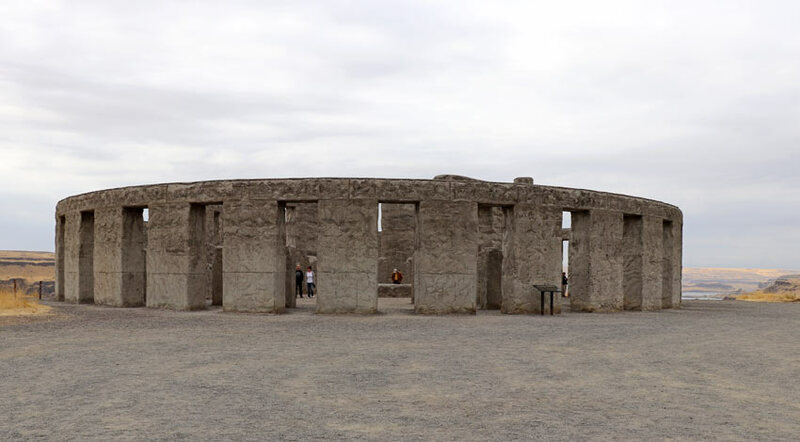 Sure, the UK’s version might be more famous, but Maryhill offers a full-size replica of what the stone structure might have looked like centuries ago, before time and erosion took its toll on the monument. 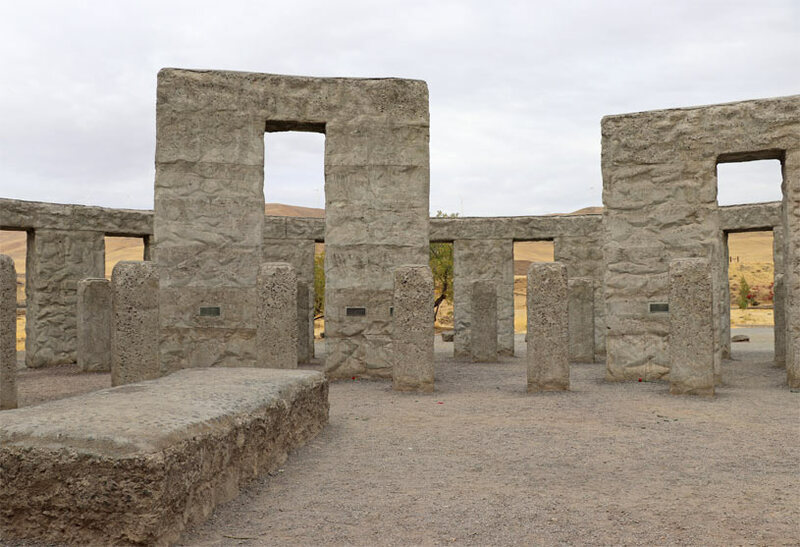 Maryhill Stonehenge serves as the first monument in the USA to memorialize those who died during World War I, although today fallen soldiers from World War II, the Korean War, the Vietnam War, and Afghanistan are remembered there. Dedicated on July 4, 1918, the memorial funded by Samuel Hill—a world traveler and businessman—offers a place for peaceful reflection as well as some stunning views of the Columbia River Gorge. Before beginning our Washington wine experience we paused there to stretch our legs and take in the stunning contrasts between the icy blue river, lush green farmland, and dry yellow patches of straw that dotted the horizon. 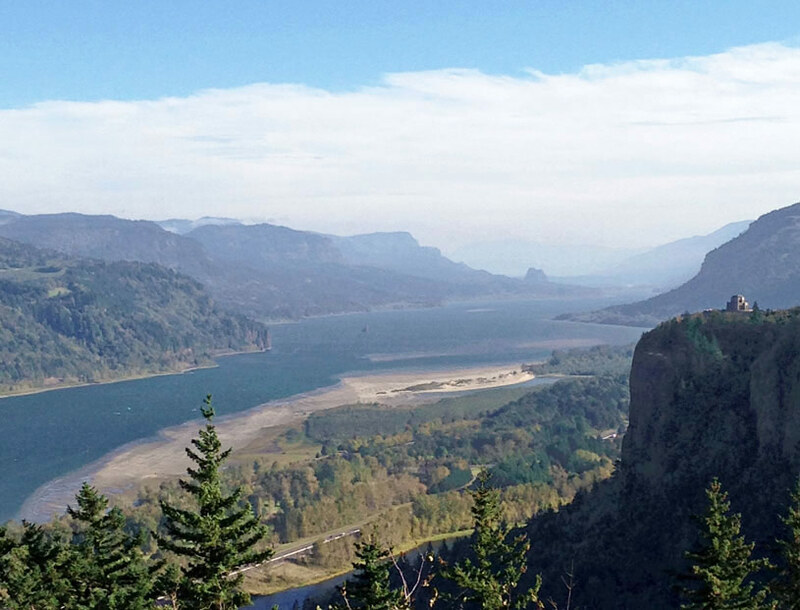 A day sipping Washington wine is a day well spent, but don’t miss the chance to explore a few viewpoints and appreciate the landscape that will accent your visit to the wineries—the Columbia River Gorge is a truly beautiful place! 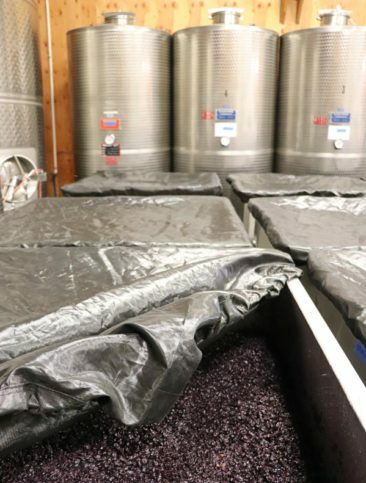 If you haven’t tried Washington wine, there’s a good reason to put the state on your radar: Washington is the second-largest wine-producing state behind California. 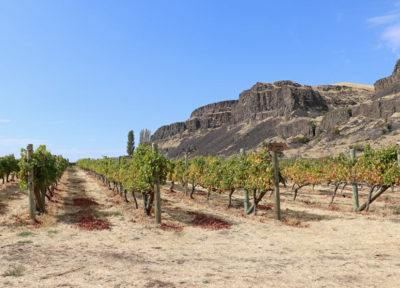 There are more than 850 wineries within Washington’s borders, and in addition to producing truly excellent wines many vineyards export their grapes around the world. We have seen Washington grapes appear on labels as far away as Virginia, where some of our favorite wineries import the grapes that don’t grow as well on the East Coast. 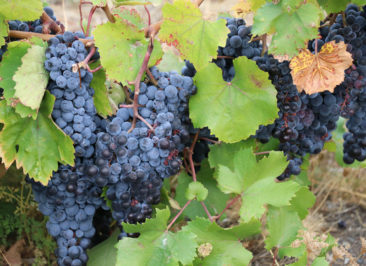 Washington has 14 regions identified as unique American Viticulture Areas (AVAs), three of which are shared with Oregon. 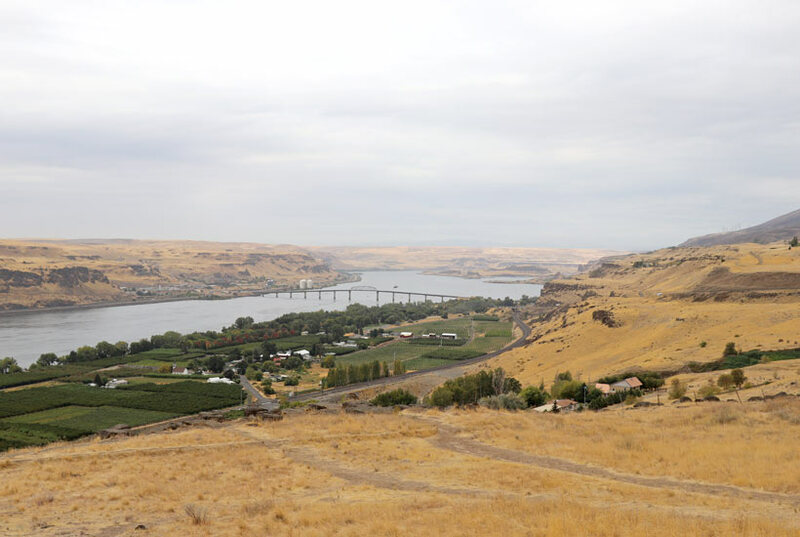 We visited two of those AVAs—the Columbia River AVA and the Columbia Gorge AVA—as we created a Washington wine tour that extended from Maryhill back toward Portland. Although every winery produces unique selections, Washington wine often displays bold, fruity characteristics reminiscent of the juicy blackberries and cherries that grow in the same soil. 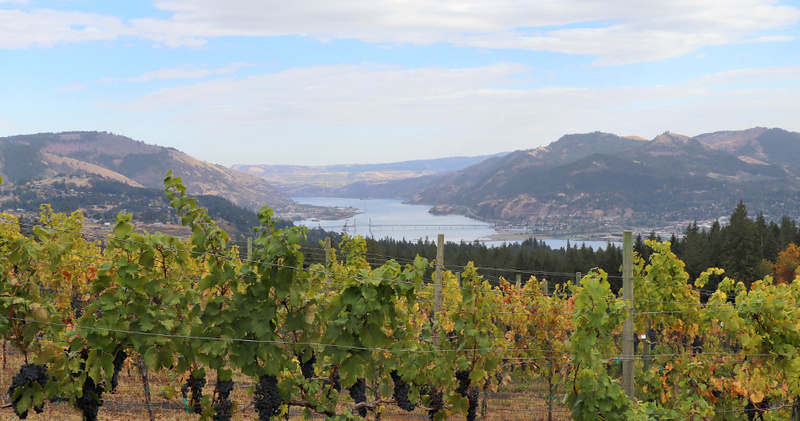 Our trip to the Columbia River Gorge to try Washington wine led us to four fantastic wineries. Adding any (or all!) of them to your Washington wine itinerary will introduce you to some of the very best wines in the region. 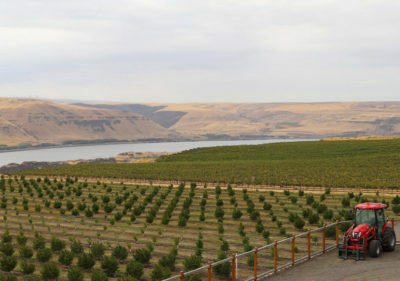 Our first Washington wine stop took us to Maryhill Winery. One of the most recognized and decorated wineries in the state—and the USA—we weren’t surprised to learn their winemaker, Richard Batchelor, is a two-time Winemaker of the Year winner, most recently receiving top honors in 2018. While many wineries focus on perfecting a handful of varietals, Maryhill ambitiously produces 50 different wines—and, arguably, has perfected most of them. Scanning the tasting menu, almost every selection boasted phrases like, “Best in Class” or, “Double Gold Winner.” You can’t go wrong with that kind of praise! Maryhill offers two different tasting experiences, a Classic tasting and a Reserve tasting, and we opted to do one to each so we could share them and try them all. Of the twelve wines available to us over the two tastings, I was most impressed with the Reserve Albariño, crisp and fruit-forward with lots of tropical notes like pineapple and melon, and the Reserve Cabernet Franc, which was full of the big, red berries so woven into the Pacific Northwest’s soil. Adam barely let me try the Sangiovese (his favorite since our trip to Tuscany! ), which he declared to be as good as anything we tried in Italy—high praise! He also loved the Malbec, which we both declared to be a favorite red wine when we visited Argentina. 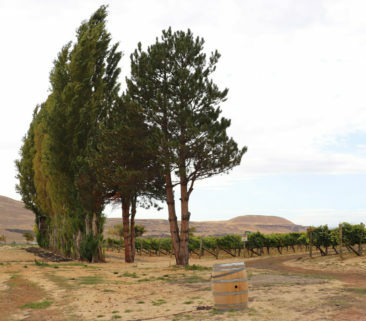 Maryhill’s Malbec has plenty of fruit with overtones of tobacco and wood, making it a complex and really enjoyable wine. 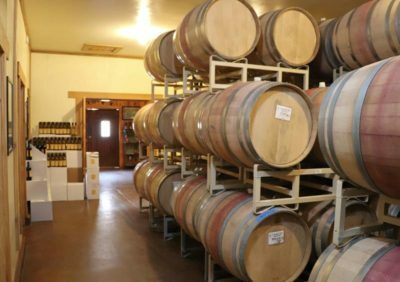 With close to 20 years of winemaking set within the beauty of the Columbia River Gorge, Maryhill Winery provided the perfect introduction to Washington wine. With a few more hours we would have easily selected it as the spot for a picnic or a relaxing afternoon. 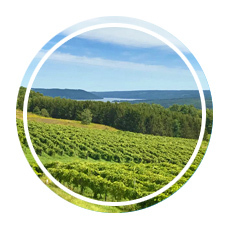 It’s a terrific place to learn about and enjoy some of the best wines the state has to offer. Typically, when we visit wineries, we are greeted with a printed tasting menu outlining what we can expect from our experience. Cascade Cliffs doesn’t offer a typical experience. We entered the tasting room and were immediately invited to have a seat at the bar, where we chatted for a few moments with a few staff members who placed glasses in front of us. I asked if they had a tasting menu, and with a shrug and a smile they said no; they would pour what they had open for us. That made me smile, too; I love a good, relaxed, unstructured tasting where the focus is on the wine and not just crossing off each varietal in order. 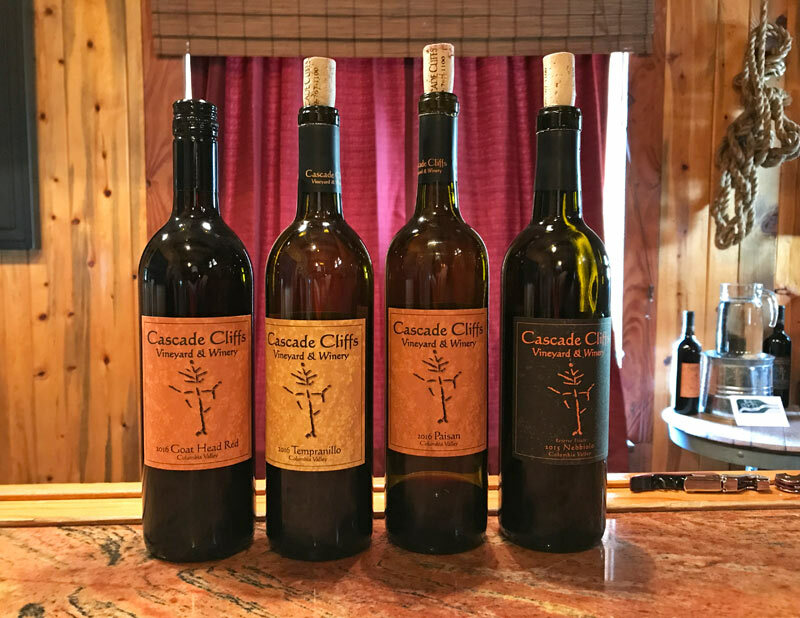 Of the Washington wine experiences we had, Cascade Cliff’s nonchalant take on wine tasting was among the most relaxed and provided a pleasant reminder that casting the road map aside and just enjoying the experience can be the best way to try new wines. We ended up sipping seven wines—three whites and four reds—and we thoroughly enjoyed them all. The 2017 Gewürztraminer was an instant favorite, as was the easy-to-drink red blend Goat Head Red (the team noted it would pair well with household chores, and I had to agree—it would). The 2016 Paisan was perhaps our favorite, no doubt because it’s a blend of Sangiovese, Cabernet Sauvignon, and Merlot and drinks like a Super Tuscan. 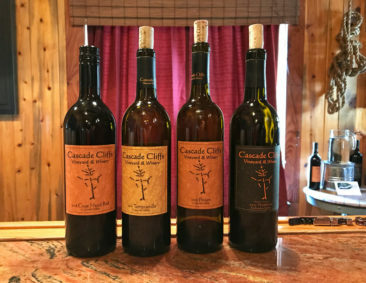 Cascade Cliffs produces truly well-crafted wines: we enjoyed every moment of our experience, and we appreciated the chance to taste the quality and even artistry so evident in each bottle. Our Washington wine journey continued to Cor Cellars, where we tried a handful of wines in a modern tasting room that is architecturally beautiful and sets the scene for the tasting experience. Cor’s philosophy is centered around wine as an expression of humanity, and the experience combines a few types of art—the architecture, the natural backdrop of the Columbia River Gorge, and the wine itself—into a truly memorable experience. Our tasting introduced us to five different wines, two whites and three reds, all of which were very good. 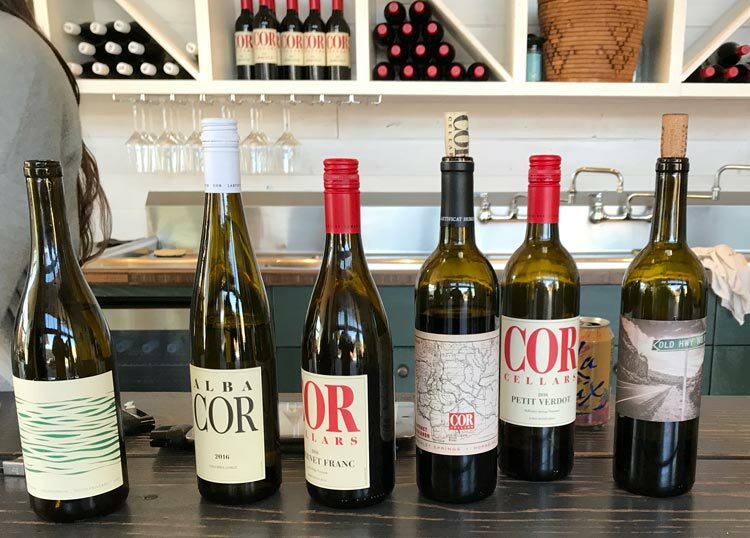 The 2016 Alba Cor was my favorite, likely because it blends two of my favorite wines—Gewürztraminer and Pinot Gris—into a really refreshing, fruity Washington wine. The staff recommended it for spicy dishes, a very natural fit for a crisp white, but it would be easy to drink a glass or two even without a food pairing. We also loved the Old Highway Red, a Merlot and Malbec blend that was delightfully smooth and, from what we observed, quite popular—three separate groups of winery guests ordered bottles of it while we enjoyed our tasting. We loved the experience Cor provides, and their take on Washington wines is worth seeking out when planning a trip through the Columbia River Gorge. Although virtually any winery in the Columbia River Gorge will combine great wines with picturesque views, it would be enormously hard to beat AniChe Cellars. We started our tasting inside and, after receiving our first pour, were quickly ushered outdoors with the request we pick a spot, get comfortable, and enjoy the view. Any winery that requires you to relax is a winery I want on my itinerary! We settled in at a table overlooking one of the prettiest views of the Columbia River Gorge I have seen, and over the course of an hour the AniChe staff circulated from table to table to pour selections from the tasting menu. 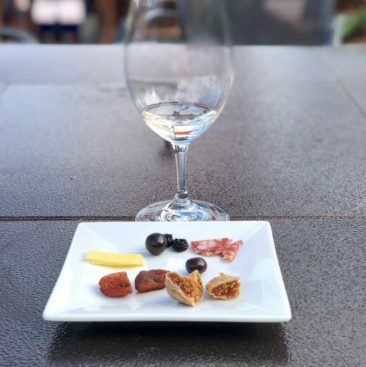 Each sip was paired with an item from a tasting plate, which included everything from dried figs to red berries to cheese. Most wines were blends—my favorite—and I especially enjoyed the 2017 Bombadil, a blend of Grenache Blanc, Picpoul, and Viognier; and the 2015 Be Holden, which blended Malbec, Cabernet Sauvignon, Petit Verdot, and Merlot into a red fruit-forward wine with a nice, smooth finish. 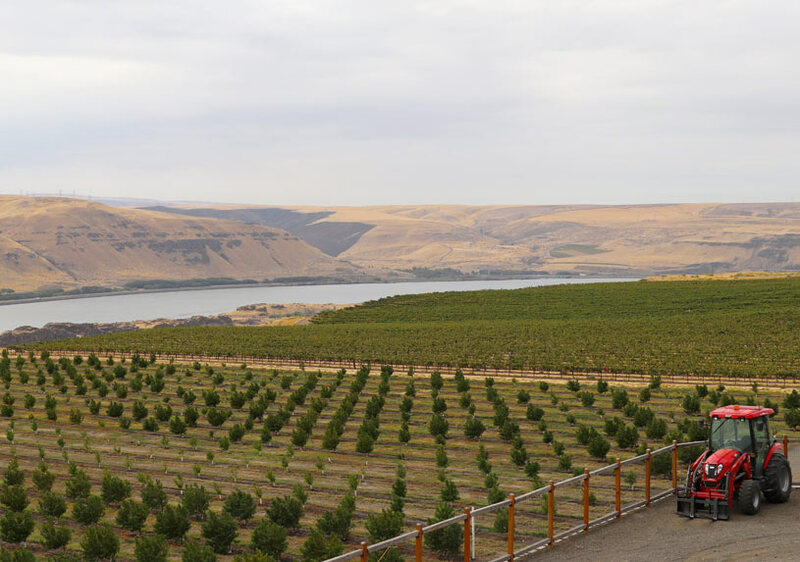 Paired with the view of the Columbia River flowing in front of us, and under blue skies that had finally beat the gray clouds we saw earlier that day, the experience provided the perfect ending to our Washington wine trip. 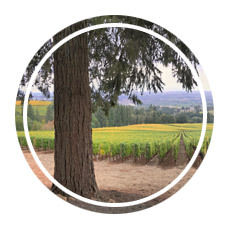 Planning a visit to Washington wine country is easy to do from Portland, Tacoma, and Seattle. 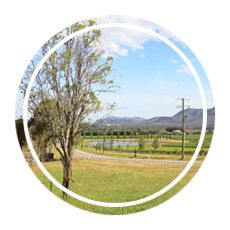 While we were able to pack all of our stops into a very full day, this itinerary could easily be broken up to make a great weekend trip and provide the opportunity to spend more time at any or all of the wineries and viewpoints. 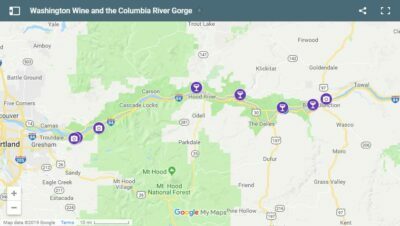 This Google Map shows the route we followed; you can follow along to create the same experience we enjoyed, or it can serve as a great base to customize your own Columbia River Gorge and Washington wine adventure! Looking to build your own visit to some of the Washington wineries? Check out the Washington State Wine website for some interactive maps and to locate additional wineries along your route. 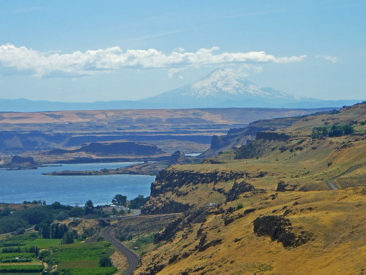 We started our day in Portland, Oregon, but cities like Kennewick, Yakima, The Dalles, and Vancouver each have plenty of hotels, and they’re all within a short drive of the locations in this article. Use our Booking.com search tool below to find great hotel deals in whatever city you plan to visit! 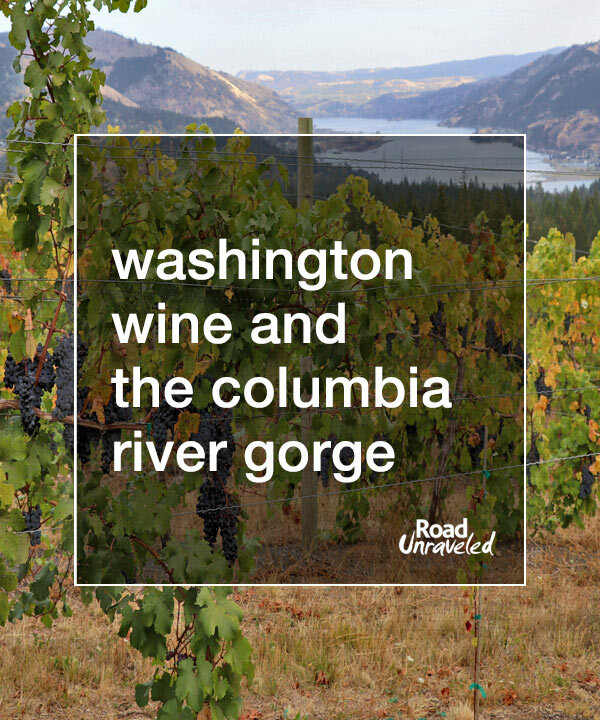 Visit the Columbia Gorge and Enjoy Washington Wine! 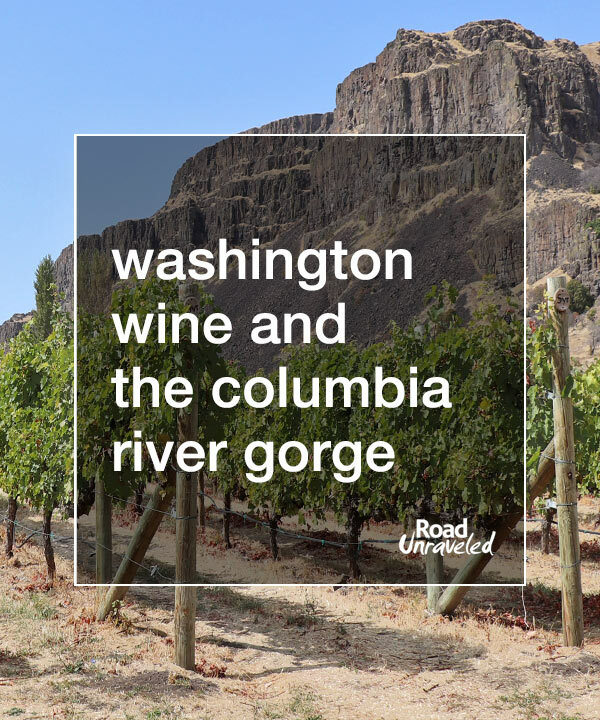 As fans of a great, long day trip, our visit to the Columbia River Gorge provided everything we wanted: off-the-beaten path sightseeing, plenty of natural beauty, and some outstanding Washington wine. If your travels will take you to the Great Pacific Northwest, plan to include the Columbia River Gorge—both in Oregon and Washington—on your itinerary. It’s a great way to experience two beautiful states and learn about Washington wine culture and varietals, and you might find you end your day as we did: relaxed, fulfilled, and wondering how you’ll fit all of your new Washington wine purchases in your checked luggage! 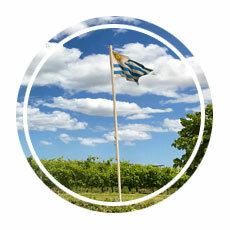 Do you love exploring new wine regions when you travel? Here are a few more posts for inspiration! * From time to time, our travels are directly impacted by a service or company. This post includes our candid review of our experiences at various locations in Oregon, Washington, and the Columbia River Gorge. We selected these locations based on our own research and travel needs; we were not offered and did not receive compensation of any kind from them or any other party in exchange for our review. Learn more about our travel philosophy here.